In once great Britain the fox is guarding the chicken coop. A sly Mohammedan, Sajid Javid, heads the Home Office, and like all good deceivers he tells us that “the threat doesn’t only come from Daesh. “Extreme right-wing terrorism is also an increasing threat… Daesh and the extreme right wing are more similar than they might like to think. Sajid Javid knows very well that there are no “values that hold us together”. Islam has nothing to share with the kafiroon, they must be eliminated. The two effective initiatives were, “one defying political correctness and tackling difficult issues head-on and the other directly addressing extremism in religious [Islamic] texts.” — The Times. …..”the threat doesn’t only come from Daesh. “Extreme right-wing terrorism is also an increasing threat… Daesh and the extreme right wing are more similar than they might like to think. “They both exploit grievances, distort the truth, and undermine the values that hold us together. 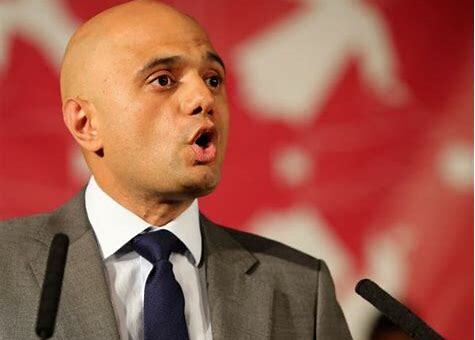 Unwittingly, Home Secretary Sajid Javid showed just why the deradicalization programs he is defending do not work. He said nothing about the boy’s family’s religious faith, radical Islam or the narrative of hate and intolerance founded on a “radical” interpretation of the Quran and Sunna to which the boy may well have been exposed at home, at the mosque and over the internet. The trouble with Javid’s tribute to those Muslims who “stand up against all forms of extremism” is that bigotry and bloodlust are not merely figments of Islamist extremists’ minds. They stem from an authentic interpretation of Quranic verses and hadiths, which currently dominates the Muslim world. The vast majority of deradicalization programs in the UK are at best ineffectiveand at worst counter-productive, according to a recent study by the Behavioural Insights Team (BIT, also known as the “nudge unit“), a social purpose company partially owned by the UK government, but that works in partnership with the Cabinet Office. As the Times reported recently, BIT examined 33 deradicalization programs across Britain, in schools, youth centers, sports clubs and English-language classes. Most of these are part of Prevent — a strategy presented in 2011 to the UK Parliament by the Secretary of State for the Home Department — designed to keep vulnerable citizens from becoming terrorists or supporting any form of violent extremism inspired by radical Islamist or right-wing ideologies. BIT found that only two of the programs have been successful. “… biggest threat [today] is from Islamist terrorism – including Al Qa’ida, but particularly from Daesh. “While the so-called caliphate is a thing of the past, Daesh continues to plan and inspire attacks both here and abroad as well as recruiting British citizens to fight. “But the threat doesn’t only come from Daesh. “They both exploit grievances, distort the truth, and undermine the values that hold us together. “The Prevent strategy will remain a vital part of our counter-terrorism work. “Yes, I recognise the criticisms, but I absolutely support it. “Misapprehensions around Prevent are often based on distortions. “They are based on a lack of understanding about the grassroots work that is involved, and the efforts by civil society groups and public-sector workers to protect vulnerable people. “We have a moral and social obligation to safeguard vulnerable people from the twisted propaganda of those seeking to radicalise them. Unwittingly, by recounting this tale, Javid showed just why the deradicalization programs he is defending do not work. He reduced the radicalization of a Muslim teenager to domestic abuse, racist bullying at school and online violent propaganda. He said nothing about the boy’s family’s religious faith, radical Islam or the narrative of hate and intolerance founded on a “radical” interpretation of the Quran and Sunna to which the boy may well have been exposed at home, at the mosque and over the internet. 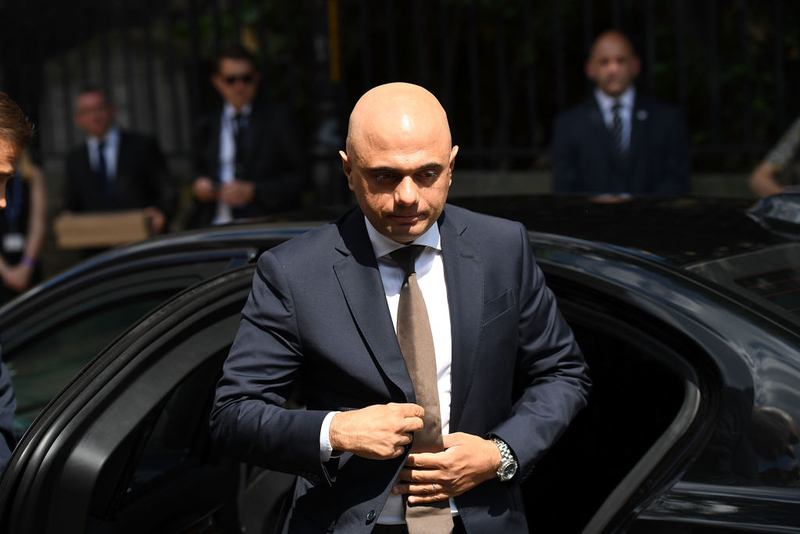 Instead, Javid provided a politically correct narrative to back up his assertion that Prevent is not only a success, but part of the “new counter-terrorism strategy” he was unveiling. “After any [terrorist] attack, a lot of well-meaning people will line up to say it has nothing to do with Islam. That the perpetrators are not true Muslims. I understand this reaction. I know they are not true Muslims. But there’s no avoiding the fact that these people they self-identify as Muslims. “Let me be very clear. Muslims are in no way responsible for the acts of a tiny minority who twist their faith. And I know that there is no such thing as a single, homogenous Muslim community. Muslims live and thrive in all walks of British life and society. “Globally, Muslims are by far the biggest victims of Islamist terrorism. And Muslims are fighting and dying on the frontline of the battle against terrorism every day. “It would be absurd to say that the actions of a tiny handful in any way represent a peaceful, wonderful religion shared by a billion people worldwide. “That’s exactly why, although we all share the responsibility for tackling terrorism, there’s a unique role for Muslims to play in countering this threat. The trouble with Javid’s tribute to those Muslims who “stand up against all forms of extremism” is that bigotry and bloodlust are not merely figments of Islamist extremists’ minds that lead to their violent conduct. They stem from an authentic interpretation of Quranic verses and hadiths, which — according to Londonistan author Melanie Phillips — “although millions of Muslims don’t subscribe to it, currently dominates the Islamic world.” Sadly, worldwide, Muslims, too, are often victims of Muslim violence. For deradicalization programs — and counter-terrorism initiatives — to work, they must first defy political correctness, tackle the root causes of Islamist extremism and address all related sensitive issues, including those which appear in Islamic texts. British Muslims should not only participate in this endeavor, but be on the front lines, monitoring early signs of radicalization and ceasing to show sympathy for or to rationalize violence.